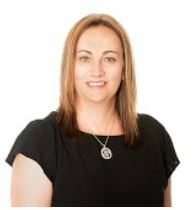 NDIS Plan Manager on the Gold Coast is represented by Kylie Moore. At a personal level, Kylie is the mother of a nine-year-old disabled child. Her child has significantly high needs. Kylie self-manages her child's NDIS plan. Therefore, she understands the procedures when dealing with any challenges. Furthermore, Kylie has skills in retail sales and customer service. Previous positions in Office and floristry management contribute to her knowledge. Gold Coast NDIS Plan Management is represented by Kyle Moore.